One day, I really really want to run both the NYC half and NYC full. Preferably in one year, because that would be awesome! Do you get anything special for running both in one year? The Hershey weekend sounds amazingly fun. Have a great race in NYC this weekend. Hope the weather is good for you. Thank you Marcia, I've been stressing about the weather and what to wear! I'll have to go back and read your Hershey blog post! A Hersey weekend? That sounds like way to much fun! Have fun in NYC- I hope the weather is ok for you- dang this cold temps! Yes, I do think Hershey will be fun! Thanks MB! I hope you have a wonderful race this weekend! Hopefully it won't be too windy; the wind has been just horrible lately. I always thought I'd do the Hershey Half, but then I decided to do Gettysburg instead -- I'm glad I did, as I've been to Hershey more than once and had never been to Gettysburg. That's what my racecations are mostly about for me -- exploring the country! Getting us to places we've never been to before. I have a race I'm considering next month & can't make up my mind about it either. Yes, races are a great way to visit places we've never been! (or a reason to return to places we like)! Good luck this weekend! There is a #WeRunSocial meet up on Saturday afternoon @ 1 right near the Pavillion (details on my IG page) where you pick up your bibs. Would love to see you if you'll be in the area! I don't know if I'll be in the area at that time but if I am I will definitely check it out! Thank you. I'm running the NYC Half, too! Last year I wore shorts and compression socks. This year I brought capris b/c of the threats of precipitation. Hope it was a good call. Maybe I'll see you out there!! If not, good luck and have so much fun! It's a great race. This is my 6th year in a row! Based on the temperature I could wear capris, but I was thinking I might want tights if it's windy along the Huson - thoughts? Thank you! Because of the wind I am pretty set on wearing my long pants but I guess anything can change! You can't pass up those race opportunities! I hope Sunday is awesome for all of us! Yes, I certainly do to! I've heard that the chocolate spa at Hershey is a must! Sounds like the perfect post-race treat! Good luck this weekend! I'm so glad we are doing the chocolate spa! I'll let you know how it is! The Hershey 10k sounds like so much fun! Have fun in NYC!!! Thank you! I hope both races are enjoyable! Chocolate spa treatments?! Those sound amazing! It's always interesting to hear how plans and race goals change - I'm shooting for a PR in my half marathon this fall and I'm trying to plan other races around that. We'll see how it goes! Good luck to you in your race planing! The Hershey races have been on my radar for awhile now. It sounds like such a fun racecation, and probably a similar vibe to running at Disney. Have a great race this weekend!!! That Hershey racecation sounds like a lot of fun. Thank you Vicki. I hope they are both enjoyable! I didn't have any races scheduled until May but that seems really far away so yesterday I signed up for a 10K on April 9th just for fun. The Hershey races look fun and I can never resist a pirate theme! May will be here before you know it. Scheduling races is a good way to make time fly by quickly! 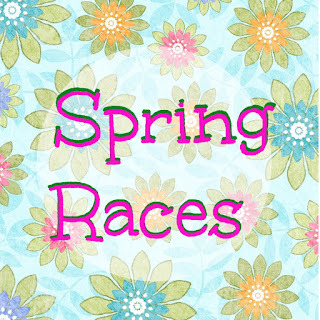 I'm only just now sorting out my race schedule for the year and it looks like I may end up with a few spring races on my list. 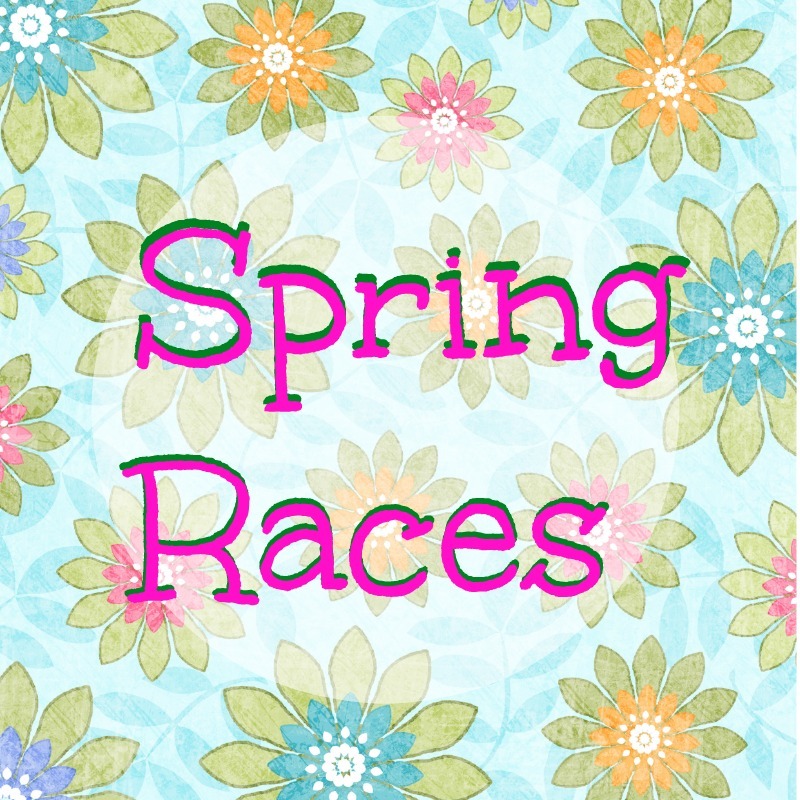 It's always nice to have some spring races on the list before the weather gets too hot! You'll have to post about the chocolate treatments. I've heard of mud baths, do they do chocolate baths? Yes! They do do chocolate baths! Hershey sounds like so much fun..I mean it's chocolate, right? I am very jealous that you get to run NYC. Someday for me. I can't wait to hear about it. I love race-cations. I wish had t he time and money to take more of them..
Oh my gosh you are going to have a GREAT time at the Hershey Hotel! Is Scott going with you or is it "me time"? The Hershey race sounds really fun! And Im sure it will be great to run through NYC! Hope you have a great time! You had me at spa and chocolate treatments!! Have a great race this weekend in NYC! Can't wait to hear all about it! I know I would be excited about Hershey's the most. It's my favorite chocolate! I am doing Hershey 10K too!! I am so excited for you! Don't worry too much about the hills, you barely feel them. I am super excited for you and your spa time at the Hershey Hotel! I'm going to message you, maybe we can meet for dinner.